Outline India is a research and development consultancy firm providing strategic advisory services and policy support to international aid and donor bodies, NGOs and national and state governments. We are committed to strengthening the design of programs and interventions by conducting needs assessments, formative research, monitoring and evaluation studies.In an environment where data is often missing or of poor quality, we specialize in procuring and analyzing high quality data from the ground level to ensurethat evidence-based conclusions are robust, relevant, and reliable. The development sector is geared towards analysis and research. At Outline India, we take a step back and focus on improving the quality of data by making it representative of the targeted beneficiaries, reliable, and accurate. We jump in from day zero, bringing robust datafrom the ground, informed by field insights, enabling our clients and partners to make observable and measurable impact. We believe that data is not just about numbers and figures; it needs conversations. So, we strive to bring to you data that tells you why the numbers look the way they do. Prerna does a little bit of everything. She likes data, research, and believes fieldwork builds character. She believes in the idea of independent, non-partisan research and hence our for-profit business model. She has worked on over 60 evaluations spanning different sectors and has led Outline in its quest to 24 states, over 4000 villages in a span of 5 years. She is currently focusing on developing TYM - the 'Track your metrics' platform and app– a concurrent assessment tool that will automate social audits and change the way we look at accountability across the developing world. She is a 2018 Chevening fellow at Oxford University, a 2017 Raisina Fellow (awarded by the Ministry of External Affairs and ORF) and a 2016 Australia India Youth Dialogue Fellow. 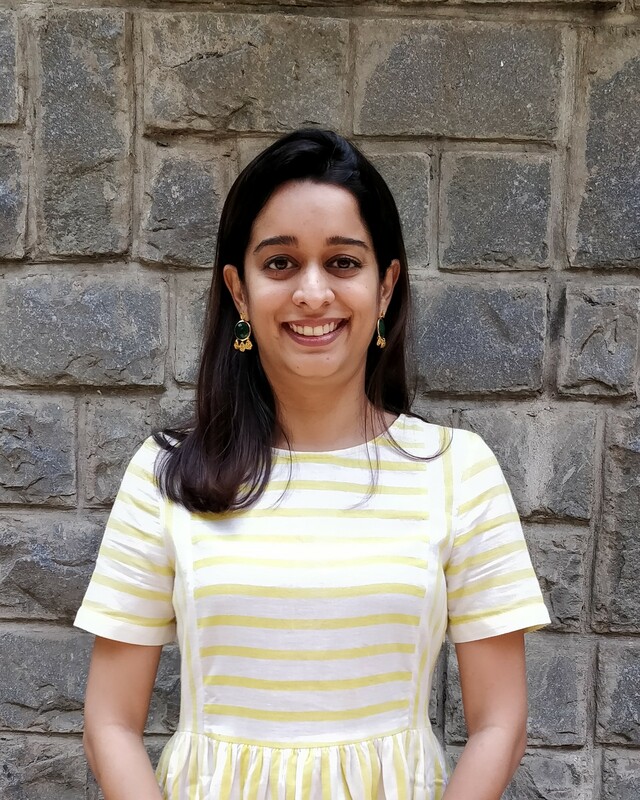 She was part of the prestigious 40 under 40 list released by Fortune magazine in 2017 and in 2018 for Outline India’s disruptive work with data. She has previously worked at Centre for Policy Research and as an RA at Harvard University and briefly at NBER (National Bureau of Economic Research). She holds a Masters degree in Economics from Boston University. 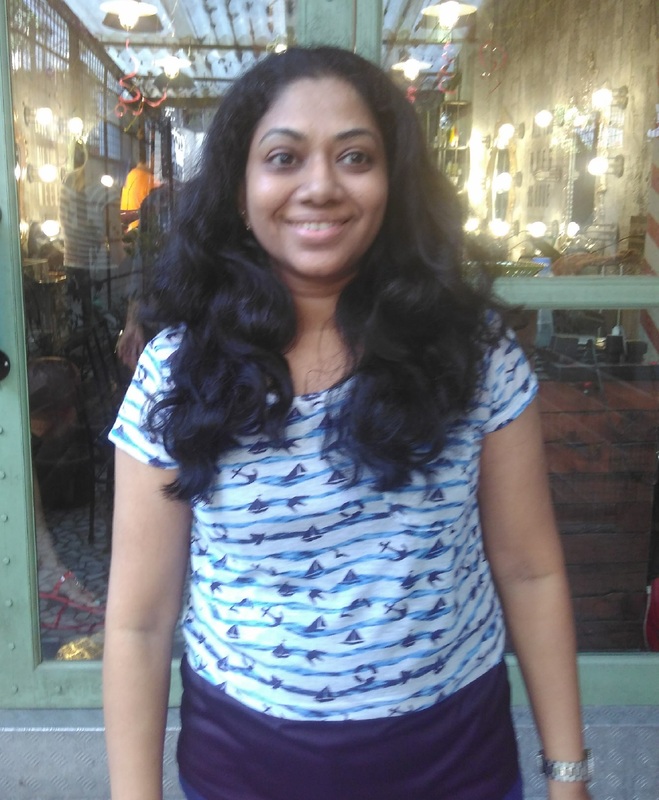 As Manager, Sruti works with both, the Business Development and Research teams at Outline India. She currently manages the bid writing process, develops content and strategy for business expansion in addition to supporting the research team for selected projects. Sruti has extensive experience in the international development sector having previously worked in the Middle East as a development consultant. She has also undertaken several projects in South Asia and Sub-Saharan Africa on themes of Education, Child Rights, and Gender for research, monitoring and evaluation, and capacity building assignments. Her education background is varied, having studied for a Master of Science in Education from the University of Oxford in addition to a Master of Arts in Sociology from the University of Delhi. Nayantara develops research proposals, prepares questionnaires, executes and conducts qualitative research, manages, plans and conducts fieldwork and applies for grants and challenges. She also works on developing new research ideas and undertakes communication for market scoping exercises. Previously she interned at Pan Himalayan Grassroots Development Foundation, Uttarakhand and conducted research on whether agri-horticultural practices are a step towards crop diversification and livelihood diversification. She has also conducted research in Madhya Pradesh exploring the changes in livelihood practices as a result of conservation-induced displacement. Nayantara has a Masters’ degree in Development Studies from Ambedkar University, Delhi. 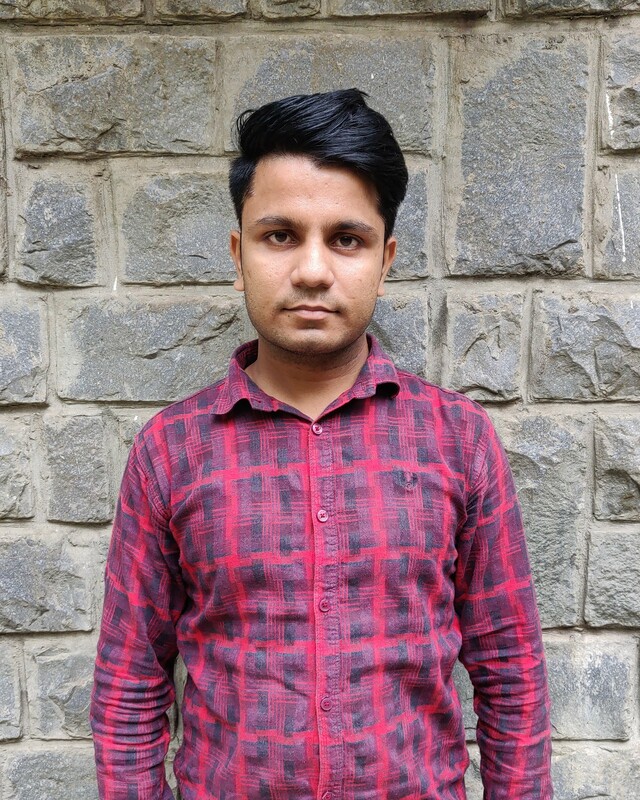 Kailash is responsible for managing the administrative and operational work at Outline India. He supports the research and business development team. Kailash has a graduate degree in B.Com from Delhi University (SOL). Aditi works on Outline India’s product ‘Track Your Metrics’. She is responsible for writing proposals, grants, developing content and strategy for product outreach, carrying out market scoping exercises, conducting relevant case studies with NGOs. She also undertakes marketing for the platform and application. Previously, she had worked at the Institute of Social Studies Trust where she was responsible for organizing policy forums on topical issues from a gender and economic lens. She conducted desk based research on the topics and prepared policy briefs post the discussion forums. Aditi has an MPhil in Geography from University of Delhi. Sukanya works closely with the founder on communications and coordination. She helps in project management and coordination with the field staff and research team. She also works on translations, coordinates with vendors, drafts invoices and handles finances, and the HR account. Sukanya has previously worked as a History Teacher in Jorhat and has a Masters Degree in History from the University of Delhi. People wearing strong perfumes or with body odour in the metro. Aditya is the legal counsel at Outline India. He is a litigator practicing before various Courts and tribunals in India on commercial and personal law issues. Aditya also advises start-ups and early stage ventures and provides contractual, regulatory and IP solutions. He has worked extensively with companies in varied sectors such as pharmaceuticals, medical devices, data collection and analysis, logistics, event management, e-commerce and the media industry. He has a Masters degree in Law from Harvard University. Kashika is involved in research and development for Outline India’s new tech product Track Your Metrics (TYM). She is helping with designing the tool along with developing a user manual and further promoting the product. She is also assisting the team in NGO visits for initial hand-holding of the product which involves tool building, baseline and endline impact assessments of projects. She also conducts secondary research and drafts research proposals along with working on developing partnerships, grants and attending conferences in order to help improve the current system. Kashika has previously done research internships at the Hindustan times and the Oval Observer Foundation respectively. She is a recent graduate from OP Jindal Global University and has done a semester exchange in economic modules from Queen Mary, University of London. As a design consultant, Tulika handles the visual design for Outline India which could vary from branding collaterals to designing reports, info-graphics and illustrations for the various platforms. Previously, she has worked in print with ELLE India - a lifestyle and fashion magazine, a children’s magazine on Indian culture and a few independent projects. 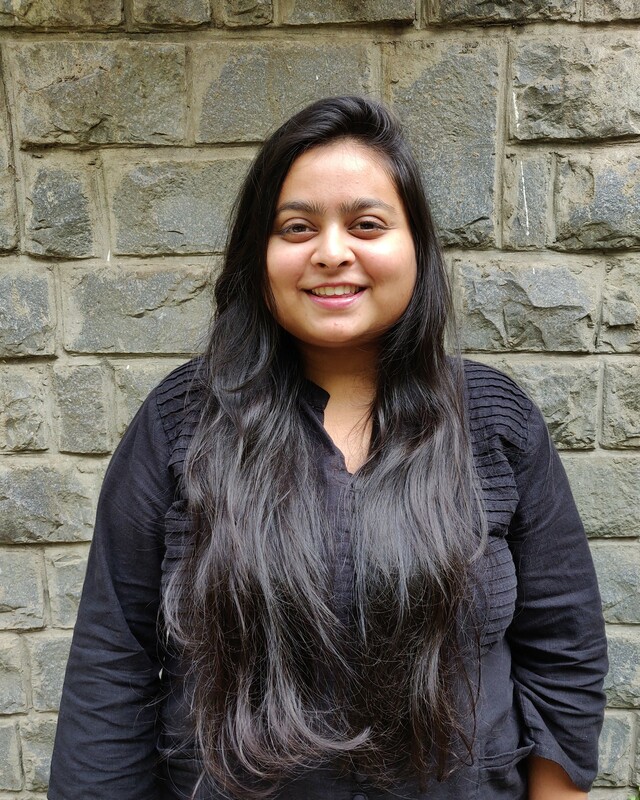 Tulika has a bachelor's degree in Communication Design from Symbiosis Institute of Design, Pune. Archana works closely with the “Track Your Metrics” team. She is involved in the research and development for Outline India’s new tech product (TYM). 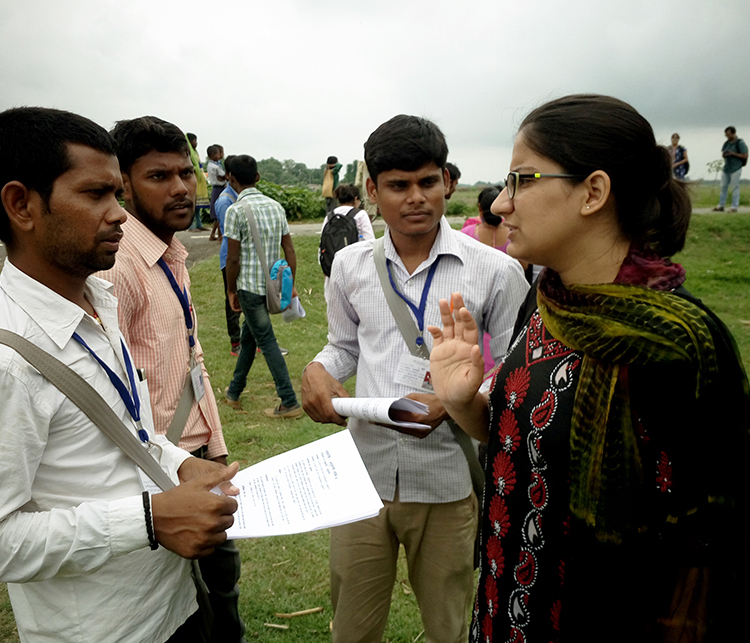 She works on outreach, prepares questionnaires, and provides research and analysis assistance for Outline India. She also executes, manages and plans fieldwork, develops partnerships and works on grants and challenges for TYM. Archana has previously been a research intern for Indian Housing Federation, Assam Urban Development Department and the Town and Country Planning Department of Assam for the assessment of PMAY(U), putting together the Draft Assam Affordable Housing Policy and qualitative research on housing journeys of people in Assam. She also interned with Centre for Equity Studies, CRY, Pratham and Young Leaders for Active Citizenship where she conducted research, wrote policy briefs and memos and did fieldwork. She has a Masters’ degree from Azim Premji University, Bangalore in Public Policy and Governance and an Undergraduate degree in Sociology from Miranda House, Delhi University. Pramod Ji ensures that our operations run efficiently by helping around the office. Ipsit has over 2 years of experience in Data Analysis in various research projects. He is proficient in R programming, Python modules like Pandas, NumPy, SciPy, and Scikit-learn. He is also experienced in various mainstream SQL/NoSQL databases. Previously he worked at Institute for Governance, Policies, and Politics, where he was responsible for analysis and management of the primary survey data. 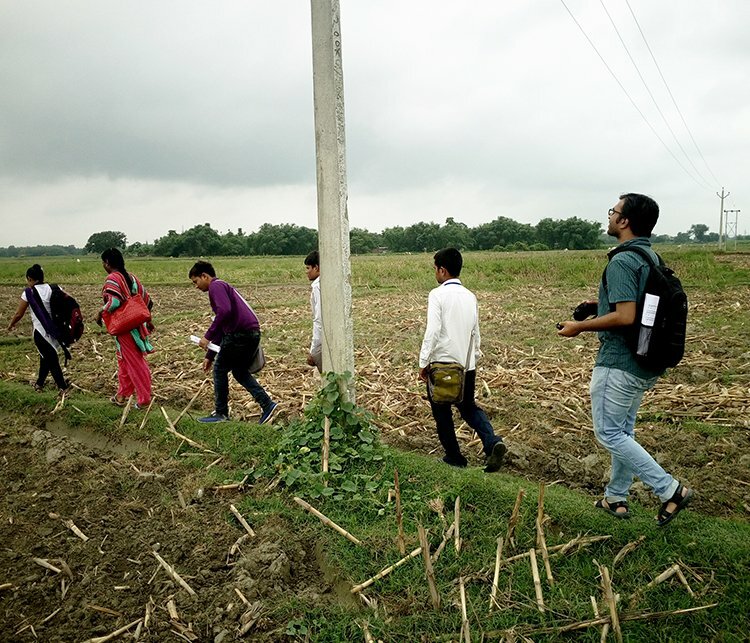 He also worked closely with the field team to ensure the quality of the survey data. Ipsit has an MBA from Biju Patnaik University of Technology. As a Research Associate at Outline India, Himalaya is currently involved in writing proposals, conducting qualitative research and managing fieldwork. 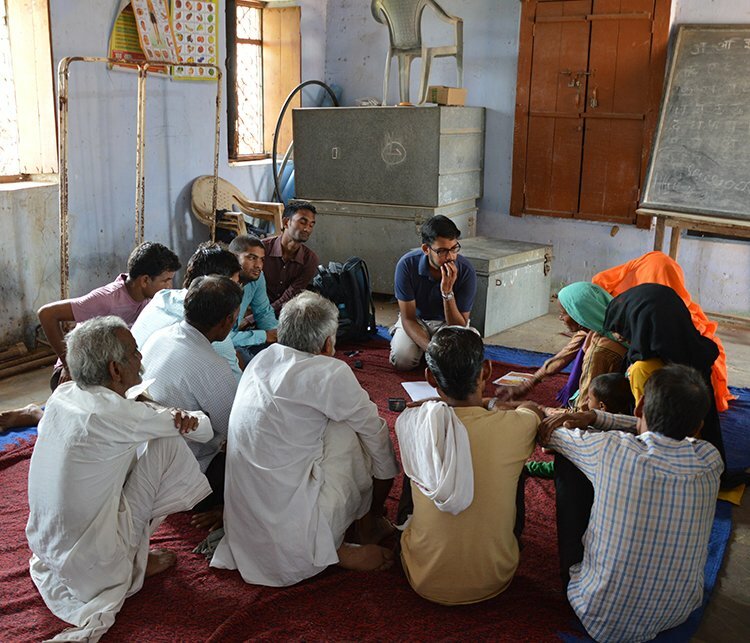 He has an MPhil in Development Practice from Ambedkar University, Delhi, and has undertaken Action Research in rural Madhya Pradesh. His research work has explored the politics of infrastructure development in rural areas and the socioeconomic status of old cloth markets in Delhi. Prior to this, he has interned on a project on migration that was jointly run by IGIDR, Mumbai and Ambedkar University, Delhi. He has also worked as a research associate on a project with the London School of Economics on access to public services in Delhi. Pooja Koppa is a Research Associate at Outline India. She is interested in learning citizen-centric problems through work while exploring new opportunities and travelling to different regions. She holds a bachelor’s degree in Urban Planning from Amity University and a master’s degree in Public Policy from OP Jindal University. She has prior experience in working on Urban/City Management research studies and generating content on topics related to Urban Mobility. Pulama manages field coordination, develops quantitative and qualitative research tools, monitors, validates and manages data. She also undertakes communications with consultants and develops research design. 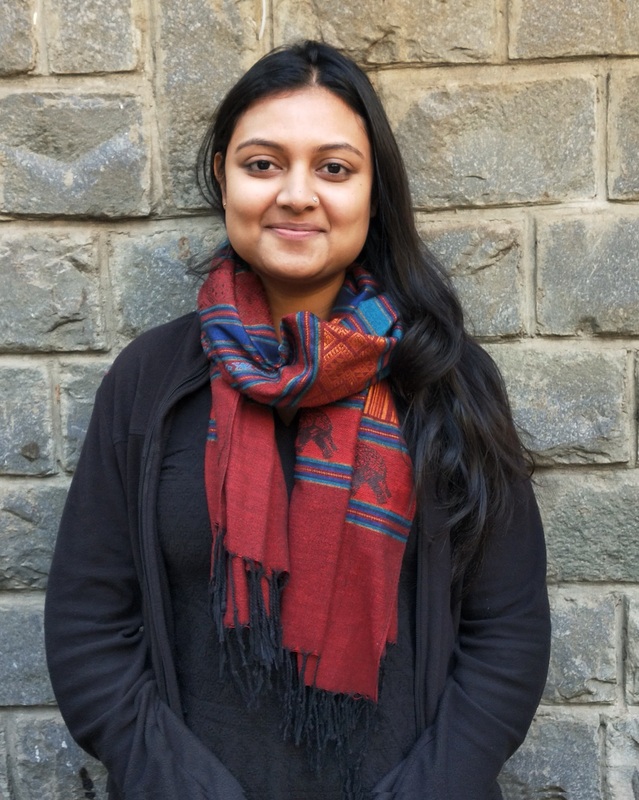 Previously she interned with Jagori, Delhi and worked on the UN Safer cities project. She also did a research on half widows & enforced disability in Kashmir with JKCCS and APDP. She has earlier been a part of HCL Foundation working on the rural areas of Hardoi, UP. Later she worked with Indian PAC on policy implementation and governance in Bihar. Pulama has a Bachelors’ degree in International Relations from Jadavpur University, Kolkata and a Masters’ degree in Peace and Conflict Studies from TISS, Guwahati. Sahana is a brand & PR strategist. She works closely with the media and shares story ideas, briefs on new developments and any new announcements. She has worked with major media houses in the past right from Midday, RedFM, Neo Cricket, UTV & Disney. Sahana has done her Masters in International Business from India Institute of Export & Import Management. Venkat develops proposals and conducts qualitative and quantitative research analysis across thematics. 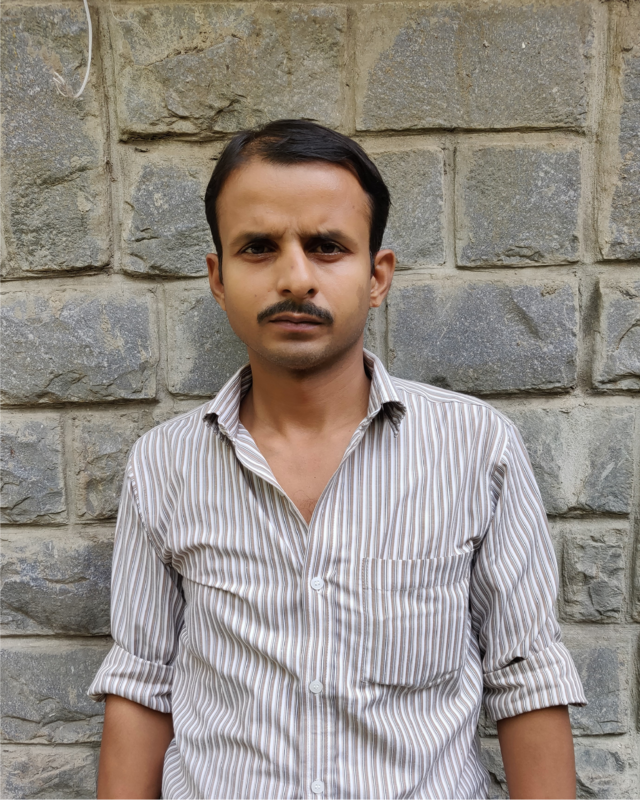 He has previously worked as an Associate Coordinator with Pravah where he built capacities of various stakeholders in the youth development space and has interned with the Centre for Policy Research where he worked on urban development and citizenship. 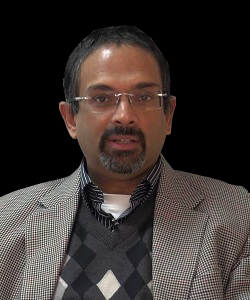 Venkat has a Master's degree in Development Studies from Ambedkar University, Delhi. Rajkanya works on Outline India's communications and outreach efforts. She develops and implements outreach strategies across OI's communication channels. Rajkanya has a Bachelors degree in Journalism and a Post Graduate Diploma in Conflict Transformation and Peacebuilding from Lady Shri Ram College, University of Delhi. She has previously worked as an Editor and as Team Lead of Campus Watch at the online social justice media platform, Youth Ki Awaaz. Taking BuzzFeed quizzes to find out which breed of doggo I am most like. Finding cozy corners to read/sleep/eat/listen to music. Experience endless joy in discussing Harry Potter, Game of Thrones, Foucault and Feminism. Anything that is/remotely resembles common house lizards. Sukhna is currently working as an Assistant Professor in the Department of Human Development and Childhood Studies at the Institute of Home Economics, University of Delhi. She has expansive experience as a trainer for researchers, for community outreach and for building volunteering programs. Her work extends to qualitative research approach and expertise lies in human development and childhood studies. 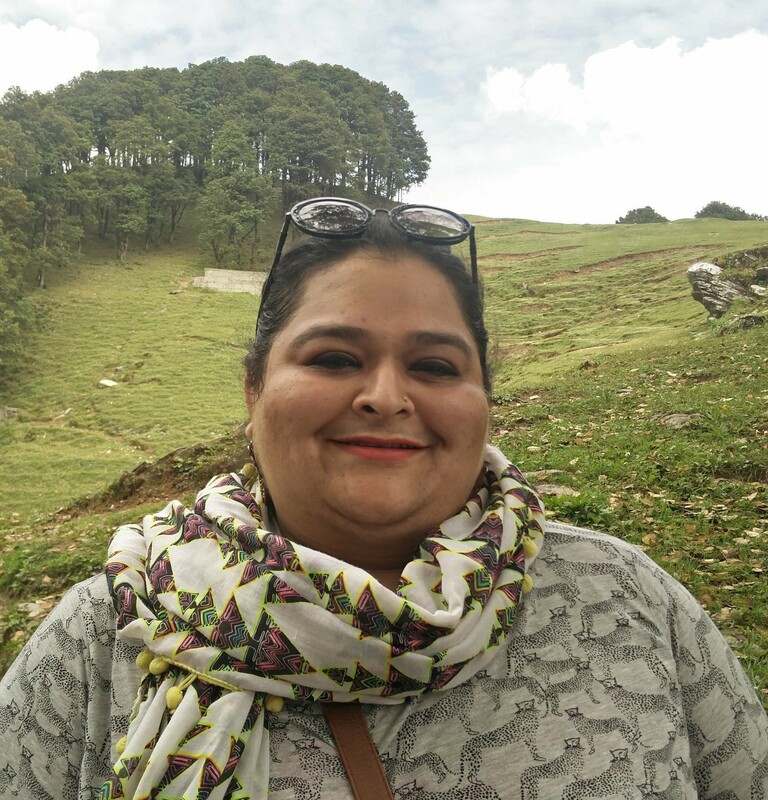 Sukhna has previously worked with Centre for Civil Society, Institute of Home Economics, Sesame Workshop India and with the National Institute of Public Cooperation & Child Development, Ministry of Women and Child Development, among other organisations. 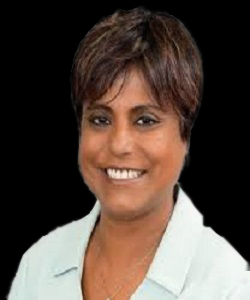 She is an experienced lecturer, having taught at the Institute of Home Economics and Lady Irwin College. She holds an MSc in Human Development and Childhood Studies and is pursuing Post Graduate Diploma in Education Technology alongside work. 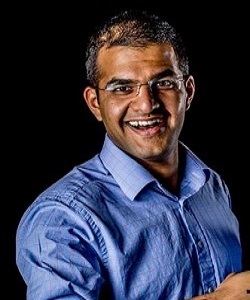 Tarun is the Director of Education Futures, UK, where he provides consultancy support for foundations and startups working in Early Childhood Education. He co-founded Social Solar, an off-grid solar power for rural schools & communities in India. Tarun graduated with an MSc in Child Development and Education and MBA from the University of Oxford, where he was a Pershing Square Scholar. During his Masters, he helped scale up a chain of Montessori pre-schools in South Africa. He interned at Primo Toys, an award-winning early coding startup where he wrote their education strategy. Tarun is a former Teach for India fellow where he taught at a primary school in New Delhi. He is extremely interested in education, learning and its impact on people and has extensive research experience in the development sector. In 2014 he conducted a longitudinal study for an alternative school in New Delhi examining the influence of alternative education on students and their eventual career trajectories. He has also undertaken primary research in Odisha to analyse bottlenecks in creating livelihood opportunities. 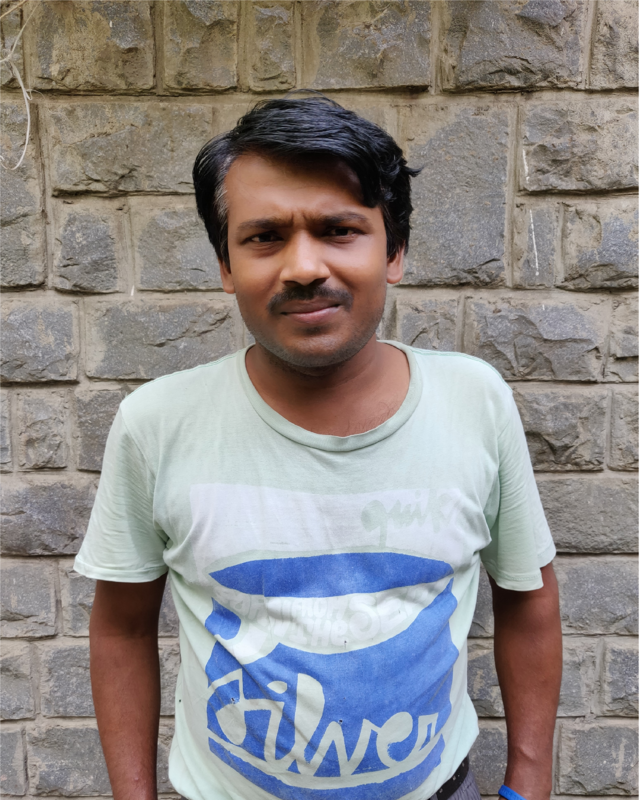 Tarun holds a bachelor’s degree in Economics from Delhi University where he scored the highest grade for his senior year thesis on Microfinance and Poverty Alleviation. Anuragini comes with over 18 years of experience in the corporate as well as development sectors. She has experience in program designing and strategy, an ability to work with multiple stakeholders, partners and donor agencies to deliver high quality projects at scale. In the past few years, she has led projects specifically focused on understanding the impact of community-led behaviour change around sanitation and health issues. She has worked closely with content, design and research agencies, to design and deliver behaviour change models in several parts of the country. Anuragini holds a degree in History and a diploma in Journalism. In 2012, she attended the Integrated Marketing Communication for Behavioural Impact in Health & Social Health (IMC/COMBI) conducted by Steinhardt College (NYU) and the World Health Organization. Nitya has 28 years of experience in policy analysis, advocacy, strategic planning, knowledge management and project planning in the development sector. He has served as the National Policy Head at Water Aid India where he was involved in developing the communications and branding strategy, research and writing on water, sanitation and hygiene, analysis of central and state policies and writing policy papers on safe sanitation, open defecation, hygiene, safe drinking water and district-wide approach to sanitation. Prior to working with Water Aid India, he had worked with organisations like Centre for Science and Environment, Water Community, Solutions Exchange, Write Shop Infotech Pvt. Ltd. and One World South Asia. Nitya also has over 10 years of experience in the media sector where he worked in various capacities ranging from reporter to producer to a special correspondent in big media houses like United Television, Business India Television, The Pioneer Newspaper, Down to Earth (a prestigious academic journal), Business Standard, and Financial Express. Mousumi comes on-board with more than 20 years of experience in designing methodologies and analysing quantitative and qualitative data to address complex socioeconomic and political issues. She has worked with associations, lobbyists, political campaigns, community groups and government agencies at the local, state, national and international levels to help them further their missions and reach their goals. She currently serves as an Expert for Outline India advising on methodological questions and issues. She also leads the Research and Innovation team at the Council for Professional Recognition, a U.S. based organization that credentials the early childhood education workforce. Mousumi served as Assistant Survey Director for Housing Surveys at the U.S. Census Bureau and led a variety of short and long-term research and evaluation efforts for a variety of issue-based and government organizations. Shilpa has 23 years of cross-sectoral experience in social sector practice, research, and evaluation. 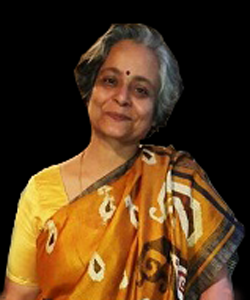 She has served as an expert Monitoring and Evaluation person, and worked and consulted with several respected organizations and INGO’s such as IFMR, Hand in Hand, MSSRF, The Banyan, RGNIYD and UNICEF, UNDP etc. Her most recent work engagement was with the UNDP(India), where she was placed in the Ministry of Rural Development (MoRD) for research and policy work on the implementation of Mahatma Gandhi NREGA. As part of her MoRD work, Shilpa engaged with state line departments, relevant departments in the centre and with researchers and think tanks in India and abroad. 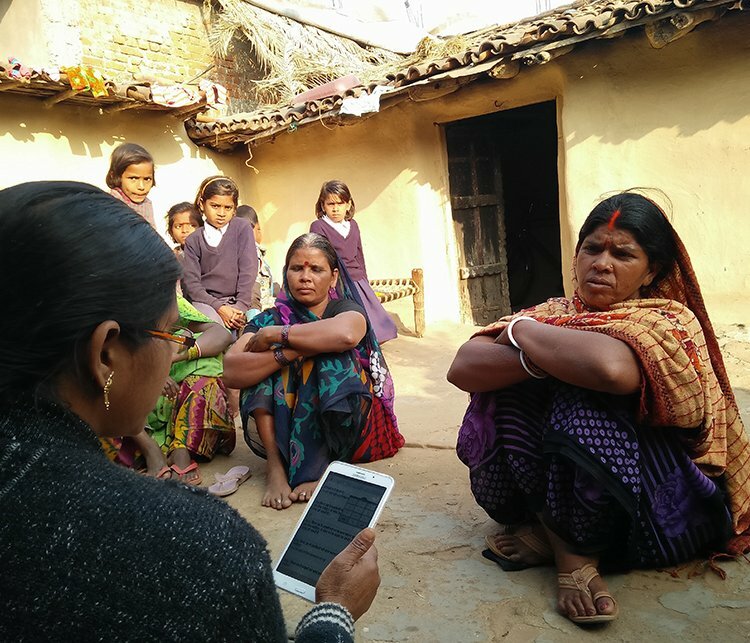 Shilpa’s work with NGOs and other social sector organisations has focused on using research and evidence to advocate for the inclusion of the poor and marginalised, using large-scale data analysis as well as thick qualitative data and participatory work. In the last 10 years, in particular, she has worked on poverty, gender, health, nutrition, education, skill development, youth development, social accountability and livelihoods. She is a co-founder of Dreampath Foundation, an NGO which works with adolescents and youth on work, career and livelihoods. 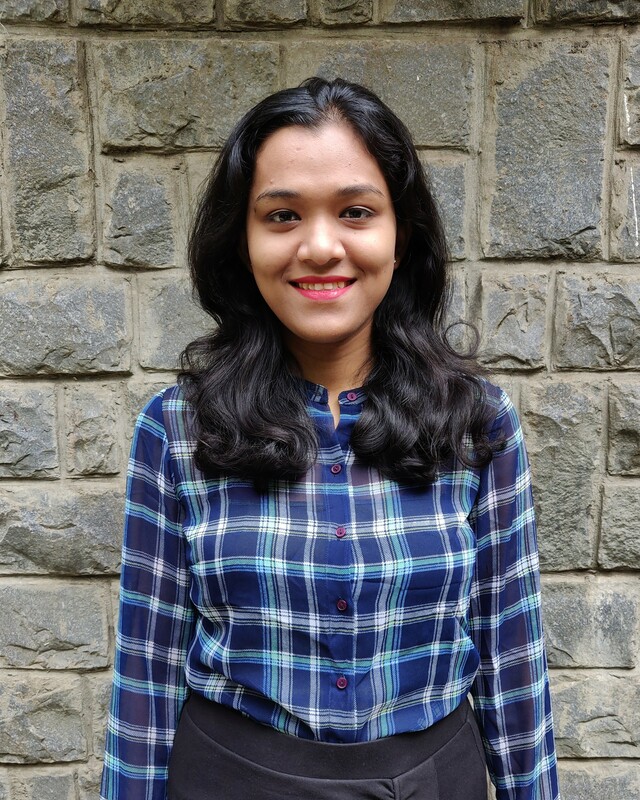 Academically, Shilpa has been deeply interested in Indian Psychology and culture and has mainted a connection with psychological and social science scholarship. Currently, she is working on multiple projects relating to nutrition, social accountability, psychoanalytic work of Sudhir Kakar and Indian Aesthetics. Devahuti comes onboard as a Monitoring & Evaluation and thematic expert with over 12 years of experience in the development sector, particularly in the financial services space where her work has focused on low income segments, especially women. She has previously worked with Grameen Foundation India as the Associate Director - Client Insights for Impact. She has also held various positions at International Finance Corporation (WBG), IntelleCash Microfinance Network Private Limited and Bharat Financial Inclusion. She has an extensive experience of leading projects pan-India for clients like Water.org, Cherie Blair Foundation, J.P. Morgan Philanthropy, Small Industries Development Bank of India (SIDBI) and DFID UK. She has also authored strategy notes on Financial Inclusion for the Bharati group and authored the section on Payments Banks in the State of the Sector report - Inclusive Finance 2018. Currently, Devahuti works as an independent consultant engaged with different for/non profit entities broadly in the strategy development, program design and M&E space.